The wait time was little to no time. The staff was great as well as Dr. Rubinstein. He explained every testhe was conducting thoroughly and in easy to understand language. He answered all my questions and corrected my prescription in a short (but not rushed) session. Also office was clean and neat. The wait time was little to no time. The staff was great as well as Dr. Rubinstein. He explained every test he was conducting thoroughly and in easy to understand language.He answered all my questions and corrected my prescription in a short (but not rushed) session. Also office was clean and neat. 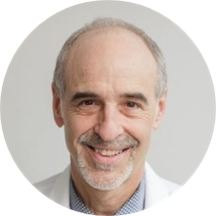 Dr. Marc G. Rubinstein is a dedicated ophthalmologist that is based in New York and the Bronx, NY. Dr. Rubinstein obtained his medical degree from the State University of New York, Downstate Medical Center. He also completed his residency in ophthalmology at Saint Luke's-Roosevelt Hospital Center and then his fellowship in medical retina at the New York Eye and Ear Infirmary of Mount Sinai. Dr. Rubinstein is a board certified by the American Board of Ophthalmology. Dr. Rubinstein is also a member of the American Academy of Ophthalmology, New York State Ophthalmological Society, and the American Society of Cataract and Refractive Surgery. Dr. Rubinstein treats a range of conditions, and he is eager to help the wider community receive the care they deserve. He gives each patient his focused attention, and he prides himself on delivering the best treatment available. Such an excellent, considerate doctor. He made me feel super comfortable and gave me all his time to explain the problem. Would definitely recommend him. Wonderful staff, and knowledgeable doctor. I was satisfied with the thorough review of my concerns, and the doctor was professional and kind. Very happy with this practice! Dr. Rubenstein and his staff were great. Everyone in the office was friendly and approachable and they were all helpful in answering all my questions. Dr. Rubenstein was thorough, asked the right questions, and carefully explained everythinggoing on with my eyes. I am quite jumpy when it comes to my eyes and he was patient with me and explained each thing he was doing to ease my anxiety. I would highly recommend him. The front desk helped me get in at their earliest appointment and there was little to no wait time. I was suffering with severe eye pain and they were extremely accommodating! The staff and doctor were great. I had a stye with some side-effects that turned into a big problem for me because I had to travel far away the following week. Doctor gave me a shot of antibiotics into my eye-lid after offering to "fasten" the process.Hurtful, but effective. I think the visit could be more informative but he gave me a good idea what could go wrong if I didn't come on time to treat the infection. Satisfied overall. The wait was about 30 minutes. His assistant did not seem very professional nor friendly, could not answer basic questions and got annoyed when I asked if my standard eye-exam (which I didn't need, I found out its's a regular procedure for any visit) will be charged to the eye-insurance or my regular health insurance. She said: "I know what I am doing". The doctor was very friendly. Excellent service, very approachable/professional. Took his time to explain everything and answer any pertaining questions. Dr.Rubinstein is an absolute wonderful doctor. He is very knowledgeable and professional. He saw me immediately and took the time to explain what was going on with my eye which I appreciated since I've had experiences with doctors in the pastwho just want to rush you in and get you out. Dr. Rubinstein takes the time to make sure you not only understand what's going on but takes the time to answer any questions you have. I would highly recommend this doctor. Dr. Rubenstein was professional and took the time to listen. He gave me a thorough eye examination and suggested a possible solution to my contact lens problems. I still need to order my lenses and see how his diagnosis will help my vision, but he was very approachable and his team was really helpful and polite. I was very early and they found a way to fit me in sooner, which is really nice.